Home / Key Personnel / Andrew M. Paderanga, P.E. Andrew Paderanga, a principal of R.G. Miller Engineers, specializes in planning, designing and managing land and site specific development projects, utility district projects and GIS systems. With more than 27 years of professional civil engineering experience, he has an extensive background in managing and coordinating all of the components for planned communities, private infrastructures, and small and large municipalities. These components include plans for land use and major thoroughfares, geotechnical analysis, environmental assessment and permitting, detention and drainage analysis, the design of water supply,storage and wastewater treatment facilities, pump stations, water distribution and wastewater collection systems, and GIS Systems and Implementation. 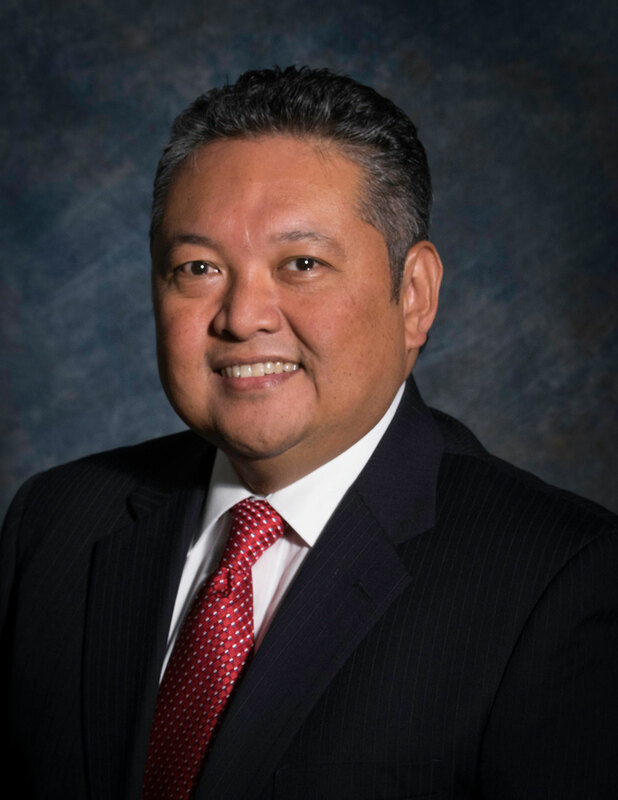 Mr. Paderanga is member of the Texas Society of Professional Engineers, the Association of Water Board Directors, the Urban Land Institute, the Houston Council of Engineering Companies and the Greater Houston Builders Association. He serves as a member of the Board of Directors for the Fort Bend CORPS and is on various Chamber of Commerce committees. He is a graduate of the Fort Bend Chamber of Commerce Leadership 2001 and Katy ISD Leadership. He has a Bachelor of Science degree in Civil Engineering from Tennessee Technological University.